There are a lot of emails that I get from customers, telling me how my foot pads have helped them so much regarding their health. I don't put testimonials up on my website for good reason, however, I do post some of them up on Purify Your Body's Facebook page and blog. But the testimonials that consistently keep coming to me is how the detox foot pads help with gout. 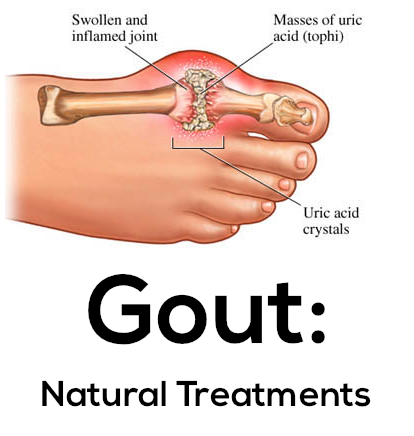 If you have suffered from gout you know the pain that accompanies it. I have never suffered it, but know it mostly happens in the feet and joints. I don't know exactly what causes it but I have read before about how uric acid builds up in those areas, causing extreme pain. The foot pads help with gout by pulling out the uric acid in your body, so that you don't get an attack in the first place. Prevention is the best way to go. But if you do get an attack, you can put the foot pads directly on the area that is causing the pain, and from what I hear from friends and customers, within an hour or so the pain subsides drastically, and by the next day the pain is gone completely. It is important to have the foot pads on hand, and use them as often as you are able to, so you can avoid a gout attack to begin with. And the second most often testimonial I get consist of migraine and headache relief. That is another topic altogether, because this is one I have first hand experience with! I have always been a proponent of toxin-free things... selling my high quality detox foot pads, it is important that I practice what I preach. I have been eating toxin- and chemical- free as often as possible, but in my daily routine I was still using chemical products on my hair, skin, teeth, and in my household. So, I have decided to try to make my life as toxin-free as possible. 1) I was introduced to a baking soda shampoo and apple cider vinegar rinse, by my sister in law. I have been using it now for 2 weeks and my hair feels fabulous. I am so surprised, I never thought it would be this easy. I don't have oily hair, so those with oily hair may have a time period where the body has to adjust. It can take 2-4 weeks, from what I have read. I also have long hair, to my waist, and it has been tangle-free and light, not heavy at all. 2) I am using homemade soap instead of the toxic soaps from the store. I use Miracle Soap (all natural, no toxins or chemicals) for my face morning and night. I don't wear foundation so I don't worry so much about this. 3) I am using coconut oil for lotion and facial moisturizer. 4) My sister in law gave me some homemade laundry soap. This is pretty cool! It works ok, even got some old stains out of one of my articles of clothing. It does make the clothes feel a teeny bit different, and no scent, so I put lemon essential oil into the wash with the laundry soap. I use dryer balls from Norwex so I don't have the need for dryer sheets. 5) Homemade toothpaste. Who knew that all you needed was coconut oil, baking soda and peppermint essential oil for a fresh, clean, toxin free mouth? 6) I am using vinegar to clean my house now. I also use Miracle Soap for my floors. For the past 2 weeks I have only used natural cleansers (mostly vinegar) in my home. My goals are to work my way to using homemade deodorant (right now I am using the crystal deodorant which is chemical and toxin free, but I still want to try the homemade kind) and also homemade perfume. I have a whole bunch of essential oils (dozens) and I have everything else, I just need some organic vodka. Anyone know where I can get that? So, after I have been using these products for a few months, I hope to be able to tell a difference. I do not smell. I have asked my husband to tell me if he smells body odor on me, or if my hair starts to reek. So far, I am good! Do these clothes give you cancer? As the following newsletter crossed my desk this morning, I read through it and am just sick to my stomach. I am trying to become toxin free, with my detox foot pads and by using natural, toxin free (and homemade) products. I now have homemade, all natural laundry soap, I also have homemade shampoo and conditioner using only 3 ingredients (that is another blog post altogether). I am using coconut oil as a moisturizer, along with my miracle II lotion, (and I use miracle II soap -- all natural -- for cleanser). I have recipes for natural deodorant that I haven't tried yet, but plan on making the homemade toothpaste this weekend. (I am currently using something similar to the crystal stone for deodorant). Most all of my makeup is natural, none of the chemicals that you usually read in an ingredient list. So now I have to worry about my clothing? Hmmm. Sorry about posting the whole email below, I am not promoting Cancer Defeated at all, but when a topic comes up that interests me, I want to comment on it. Most of us put a lot of thought into eating healthy food and breathing clean air, but not a lot of folks worry about healthy clothing. It's a chilling thought to wonder whether the shirt you're wearing right now might contain deadly chemicals. But it's something you should take notice of since cancer-causing chemicals are found throughout most of the fabrics we buy and wear. Keep reading and I'll explain what I mean. . .
You may be shocked to learn that one of the most popular supplements many men take could be underperforming. Click here to find out the "secret" ingredient that's up to 3,000 times more powerful than saw palmetto! Plus you'll discover the new "wonder" nutrient for keeping your prostate healthy for life. It supports healthy cell growth in the prostate—and keeps abnormal cells from spreading. Personally, I'm very sensitive to dyes, chemicals, and treated fabrics. I even have white "all cotton" sheets I can't use because they make me sick. I'm certainly not alone — over a million results pop up on Google when you search "chemical sensitivities to clothing." The good news is that it's easy to fix this problem, once you understand it. In a recent study commissioned by Greenpeace International, several major clothing brands were found guilty of using nonylphenol ethoxylates (NPEs) in the manufacturing process. This chemical breaks down into toxic nonylphenol (NP), which has hormone-disrupting properties that persist over time and can be hazardous even at low levels. The clothing brands tested included 14 leading brands like Calvin Klein, Abercrombie & Fitch, Adidas, Ralph Lauren, Nike, and H&M. The clothing articles that were tested were manufactured in at least 13 different countries. Greenpeace used an independent laboratory to test for the presence of NPEs. Of the 78 articles tested, a full two-thirds (52 items) tested positive for NPEs higher than the regulated limit of detection (1 milligram NPEs/kilogram material). NPE is actually banned from use in textile production in a lot of countries, including those in the European Union, but regulations are lax in most Asian countries where a lot of global clothing brands source their products. The chemical is most commonly used in the dyeing process. The fact that NPEs were detected in the fabrics proved they were used during production. And if they were used in production, there's a good chance they were released into the environment where they're unable to fully break down. This stuff hangs around for a long time. We know for sure that this increase of hormonal buildup released by chemicals in our environment taxes our bodies in major ways. It may be having an immediate effect on our children, and especially on young girls. Puberty for girls used to begin around age 15 or 16 over a hundred years ago. Now, it starts as early as age nine. The average age of menopause has also been adjusted — now it's ten to 15 years later than it used to be. The reasons for ever-earlier puberty are not known for sure. It's a controversial topic. But NPEs may be a factor. Not only does early onset of puberty increase a woman's number of fertile years, it increases her chances of breast cancer. But it's not just Greenpeace finding all the bad news. Chinese authorities have also tested for and found cancer-causing textile dyes in clothing manufactured by some popular Chinese brands, including Jeanswest and Baoxinlai (sold both in China and abroad). In this case, the offending toxin is decomposable aromatic amine, a poisonous dye that has been banned since 2006. This dye cannot be washed out of fabric and is easily absorbed into human skin. With long-term exposure, it can cause cancer. The health risks of clothing don't stop in the manufacturing process. Depending on the laundry products you use, you may be coating your clothes with even more cancer-causing chemicals. In a study conducted by Anne Steinemann of the University of Washington, there is a sickening cocktail of chemicals that gets emitted through the air vents of clothes dryers. The toxic elements stem from both liquid detergent and perfumed dryer sheets. Steinemann's analysis found over 25 volatile organic compounds, seven of which are considered hazardous air pollutants, in the dryer vents. Two of those chemicals — acetaldehyde and benzene — are considered carcinogens by the Environmental Protection Agency. The fumes alone potentially cause headaches, asthma, and possibly even seizures. Dryer sheets are the worst offenders since their chemical ingredients get heated up and released into the air, posing a respiratory health risk to anyone who breathes the fumes — whether they're inside or outside your home. Sustained exposure to the chemicals from dryer sheets and liquid fabric softener may very well have a toxic effect. Both products contain benzyl acetate (linked to pancreatic cancer), limonene (a known carcinogen), and chloroform (a neurotoxin and carcinogen). Fabric softeners in particular are designed to stay in your clothes for an extended period of time. This means those chemicals gradually seep out and are either inhaled or get absorbed directly through the skin. Just the fragrance chemicals alone in these products are extremely toxic, known to cause liver damage and cancer in mammals. These things are only approved for consumer use because the FDA considers them cosmetic products — on the same level with shampoo, deodorants, and creams. The agency claims there are no health risks because those chemicals aren't absorbed through the skin. That's a grossly false belief. For a regulatory agency to say, "There's no problem! The skin doesn't absorb a thing!" is the equivalent of claiming all the transdermal patches on the market don't work. And nowadays, a wide variety of pharmaceuticals are available in transdermal patch form, including nicotine patches for smoking cessation, opioid medications for pain relief, estrogen patches for contraception or menopausal symptoms, and scopolamine for motion sickness. As I've often said, if you depend on these government agencies to look out for you, make sure your insurance is paid up — health and life — because you're gonna need it. The agencies mostly function to reassure the public that the products of industry are just fine — so you don't look into the matter too closely yourself. People who do are considered cranks and kooks. What we know for sure is that the skin is our largest organ. Our bodies drink in anything we put on it, including chemicals that linger on and in our clothing. A lot of factors are contributing to this poison problem in our clothes, from lax regulation in the clothing manufacturing process to lack of education regarding laundry products. But at least there are a few things we can do about it. As far as avoiding clothes that were mixed with toxins in the manufacturing process, your best bet is to either buy organic clothing or buy clothes manufactured in the U.S. or the E.U. And the laundry product issue is really a good reminder not to focus all our attention on pollution from cars and industry. A lot of it happens right in our own homes. On the brighter side, plenty of "green" companies are now coming out with safer fabric softeners. Seventh Generation and Ecover both have options that rely on vegetable products and natural essential oils. There's also Maddocks' Static Eliminator, a non-toxic, hypoallergenic reusable dryer sheet made out of a proprietary, chemical-free polynylon. A word of warning: I find I have a bad reaction to a lot of the "green" laundry products found in health food stores. One problem is the mania for scenting everything. Try them out carefully and observe your own symptoms. Headaches, muscles aches, skin problems or respiratory problems may be caused by these products. Another great alternative to the laundry product problem is to use "homemade" fabric softener. National Geographic's Green Guide recommends adding either a quarter cup of baking soda or a quarter cup of white vinegar to the wash cycle. Either one will soften clothes, while the latter will also address static cling (but don't mix either one with bleach since the resulting chemical reactions could cause noxious fumes). Or, you could take several strips of an old cotton shirt or pillowcase and soak them in a jar of vinegar combined with an essential oil, like eucalyptus. Add a strip to every load you toss in the dryer. Or just put the vinegar mixture in a spray bottle and spray the wet laundry. And of course, the best "old-fashioned" solution to keeping chemicals out of your clothes is drying them outside on a clothes line. Let the fresh air and sunshine do all the work. Even here, alas, I have to introduce a word of caution: quite a bit of pollen can settle on clothes hanging outside. So if you have allergies you may need to be alert to the problem. If you’d like to comment, write me at newsletter@cancerdefeated.com. Please do not write asking for personal advice about your health. I’m prohibited by law from assisting you. If you want to contact us about a product you purchased or a service issue, the email address is custserv@cancerdefeated.com. To ensure delivery of this newsletter to your inbox and to enable images to load in future mailings, please add custserv@cancerdefeated.com to your e-mail address book or safe senders list. You are receiving this email at rhauptman@hotmail.com.